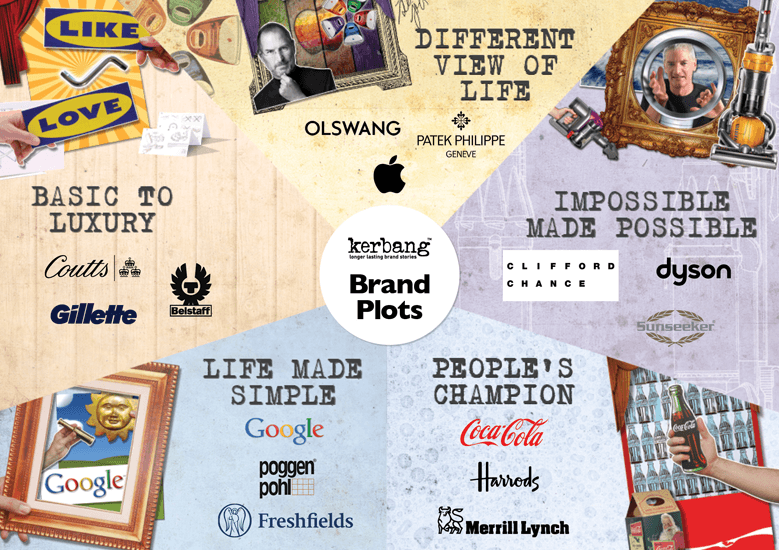 Discover your Brand Story Plot. You might be aware of the seven basic plots that authors have debated for centuries. We studied them closely but of course they were developed for fiction NOT the reality of brands. We needed an equivalent. So we started to cluster the Superbrand 500 to discover how many definitive plots we could uncover. The answer might surprise you – there are five. The Big Kerbang™ Longer lasting brand stories.